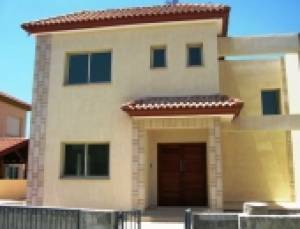 A brand new just completed 3 bedroom detached house in Palodia, Limassol. Just a few minutes drive to all local amenities and with easy motorway access for a quick drive into Limassol town centre or either Larnaca or Paphos airport. The house is located in a newly built, quiet area in a private road attached to a park.